Exercise is one of those aspects of life where we as humans choose to put ourselves through physical pain in order to make ourselves bigger, faster, stronger, or at least that’s the idea. Moreover, exercise is popularly used to shape one’s self to what our culture appeals to. Whether you’re an athlete, model, or just trying to shed a few pounds, exercise is still around us because it is essential to our well-being, especially mental health. In an article called Efficacy of Adjunctive Aerobic Activity and Associated Biomarkers in Major Depression: A 4-Week, Randomized, Single-Blind, Controlled Clinical Trial, there was a study done in a randomized, controlled clinical trial format where 57 patients, from ages 18 to 55 years of age, were followed-up for 28 days on physical exercise. All participants were drug free, and had been diagnosed with symptomatic Major Depressive Disorder. Furthermore, the patients had received doses of sertraline during the trial. 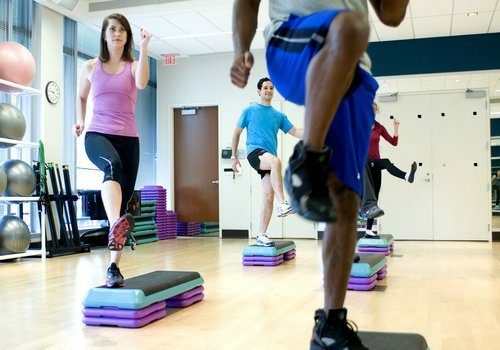 During this four-week time period, patients were randomized into two groups, one group with added on aerobic exercises and the other without. The goal of this experiment was to assess the therapeutic role aerobic exercise had on patients suffering from MDD. According to the article, MDD is the fourth leading cause of disability worldwide and is projected to being the second leading cause by 2020. The results of the experiment reported, “The Depression scores were significantly decreased in both groups after intervention. Importantly, patients in the aerobic exercise group required lower sertraline dose compared to the control group” (Siqueira). In other words, although there were treatment methods implemented in both groups, the group that was given consistent aerobic exercise as additional treatment made quicker, more substantial recoveries. In conclusion, the present findings suggest that a 4-week training of aerobic exercises significantly improves functional capacity. Unfortunately, despite the capabilities in utilizing exercise as a therapy method, further studies are needed to identify which are the most appropriate types of exercise interventions, like intensity, duration, and/or frequency, to treat and prevent depression. Furthermore, little is known of its clinical effectiveness due to some methodological flaws more so related to the type of exercise, and long term efficacy. However, it can be concluded from this research that those who did implement exercise into their daily routine in order to treat for MDD required less anti-depressant medication in order to achieve antidepressant efficacy. In conclusion of the article, exercise was a comparable treatment method, if not a better one, than pharmaceuticals. In addition, exercise is less costly, effects last long term, and they have a higher success rating than pharmaceuticals across the board. The use of exercise has potential to be the most cost-effective method use of treatment in the ever growing world of mental disease. Siqueira, C. C., Valiengo, L. L., Carvalho, A. F., Santos-Silva, P. R., Missio, G., de Sousa, R. T., … & Machado-Vieira, R. (2016). Antidepressant efficacy of adjunctive aerobic activity and associated biomarkers in major depression: a 4-week, randomized, single-blind, controlled clinical trial. PloS one, 11(5), e0154195.